Kevin Harvick won Sunday’s Monster Energy NASCAR Cup Series race at Texas Motor Speedway. The driver of the No. 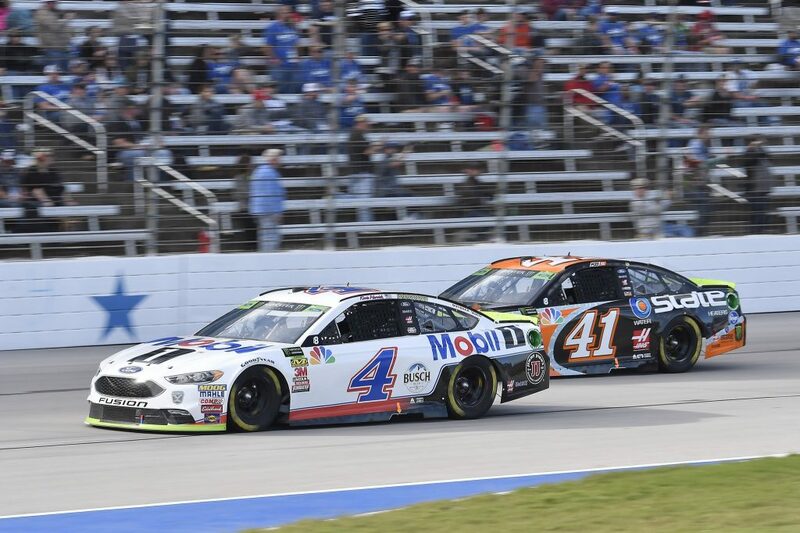 4 Mobil Ford Fusion took the checkered flag in the AAA Texas 500 ahead of Ryan Blaney as the second race of the Round of 8 ended. The series has one more race at ISM Raceway in Phoenix before the number of championship hopefuls is cut to four. Joey Logano’s win at Martinsville earned him entry into the championship four. At-least one driver will make the final round via points. Ryan Blaney claimed the pole in qualifying for the race on Friday and led until a competition caution after lap 30. From there Kevin Harvick took the lead after taking just two tires on his pit stop which earned him the stage win. It was the 17th stage win of the season for Harvick. Early contact with Denny Hamlin would be just the beginning of troubles for Clint Bowyer on the day placing him two laps down. 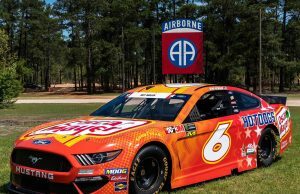 Bowyer would lose another lap attempting to stretch fuel and received a penalty for a pit crew member who was sitting on the wall causing a pass though penalty as segment two came to a close with Harvick claiming his 18th stage win of the season. 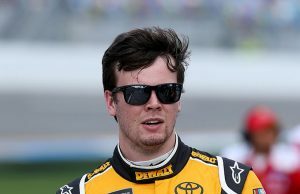 Loose wheel issues would hamper the days of both Kyle Busch and Martin Truex in the third segment as Joey Logano found himself at the front of the field trying to hold off Harvick as the race dipped into it’s final 100 laps. Harvick would get pass Logano as would polesitter Blaney. A caution for Matt DiBenedetto hitting the inside wall after contact between Chris Buescher and Bubba Wallace would bunch the field back up and give Blaney help in overtaking Harvick but it was short lived as the No. 4 would slip back by with 17 to go. A spin by Joey Gase after contact with AJ Allmendinger would bring out yet another caution and force overtime and a green white checkered. Harvick was able to hold off the field and claim the win ensuring a trip to the championship four in Homestead. 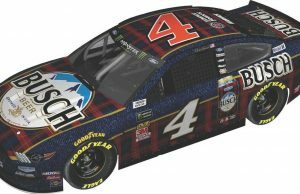 With the win Harvick becomes the third driver in MENCS history to win at least 8 races in his age 42 or older season joining Lee Petty (11 wins in 1959) and Bobby Allison (8 wins in 1982).